Michael Raiter surveys contemporary spiritualities, and addresses a range of important questions for Christians: What is true spirituality? If we were to meet a ‘truly spiritual’ person, what would they look like? How do we respond biblically to our longing for spiritual intimacy? 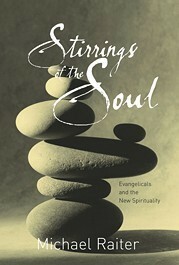 Songs of the Saints is a call to revitalize congregational singing in our evangelical churches. It is a spirited plea to marry sound biblical theology and spiritually zealous hearts, and harness the God-given power of congregational singing to bring vitality and maturity to God's people. Our Journey Through Series by Daily Bread Ministries. Find Mike Raiter’s devotions here. Our Journey Through series is a book-by-book devotional that is ideal for your quiet time and personal reflection. Learn to spend time in God’s Word in your daily walk with God.